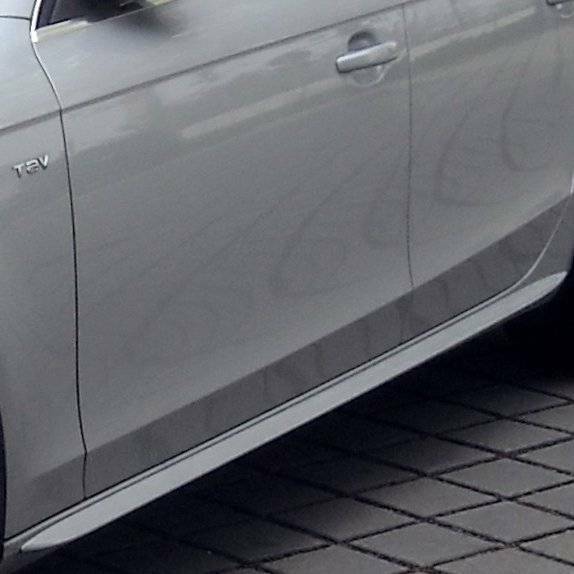 Lower and more flared S4 skirts which fit your A4. Skirts arrive primed and ready for painting. Automotive strength adhesive tape is recommended for installation.